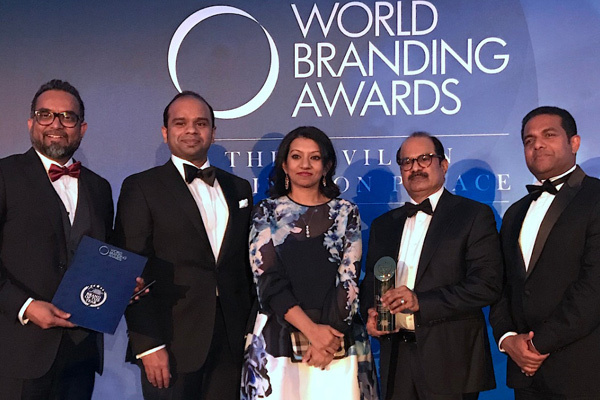 LuLu Group has won the "Brand of the Year" Award at the annual World Branding Awards 2018 ceremony held at Kensington Palace in London. Lulu is the only hypermarket chain to win this top honour which is given to an organisation for its sustained and innovative brand communications, marketing and consumer engagement, said a statement. Lulu team led by Ashraf Ali MA, executive director, received the award at the event on October 31. The team included: Adeeb Ahamed, managing director of Lulu Financial Group; Shafeena Yusuffali, CEO of Tablez; Mohammed Althaf, director, and V Nandakumar, CCO of Lulu Group.